Fall Art Scene happened a couple of weekends ago here in Rockford. 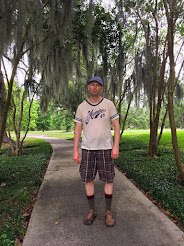 Even though I'm not a visual artist, I had been hoping for about a decade that I would be invited to participate in a show at one of the venues. Then two years ago, I was, and what made it better, and worth waiting all those years for, was I got to show with almost every other artist in town that I respect and follow. The show was organized by Andrew Davis, and had no particular theme. Just artists that wanted to show their works and hadn't been invited to do so elsewhere. It was of course the best show in Art Scene that year. This year most of us showed again, at Lucette. 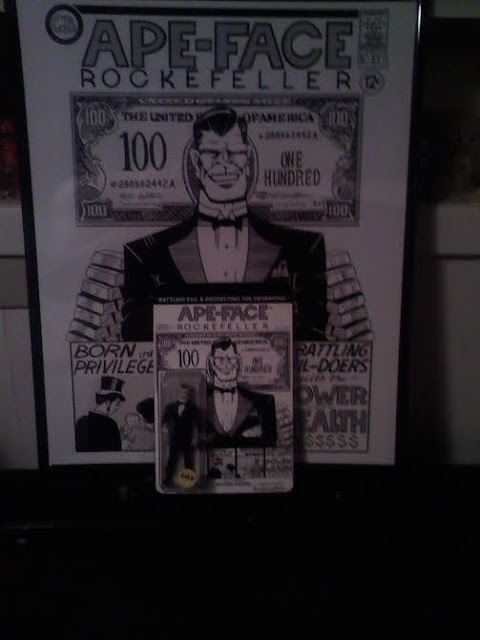 Among other things, I heard Andrew Davis was making an action figure of his comic book character Ape-Face Rockefeller. 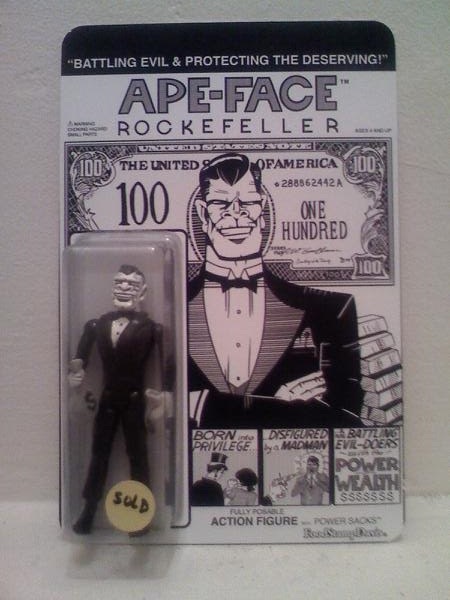 I am a big fan of Ape-Face Rockefeller, and one of the world's foremost collectors of Ape-Face Rockefellers, so I was really excited about this action figure. When I saw pictures of the work he was putting in on Facebook I knew it was going to turn out magnificently, and I messaged him asking if I could have the first opportunity to buy it. He put me off, saying it was not nearly finished yet. I had the feeling either he didn't want to sell it, which I would have understood completely, or that someone else wanted the piece, too. As the show neared I saw an almost completed version of Ape-Face and once again inquired if he had settled on a price. He was once again evasive, and said he had not. I took the clue and backed off. On Friday, the opening night of Art Scene, I stayed with the kids so Jenny could do a show at her gallery. Later in the evening I saw a picture that broke my heart. It was a picture of the Ape-Face Rockefeller action figure with a sold a sticker on it. I was sad, but I figured either he had decided not to sell it, or someone out there really wanted it more than me. On Saturday we made the rounds of Art Scene and ended up at Lucette for our own show, We went over to see Ape-Face in person and I once again lamented that someone had bought what turned out to be an awesomely cool piece. It was then that Jenny revealed that she was the one who had bought the piece. She has contacted Andrew and bought the piece when I first saw it. And that is how I became the world's foremost collector of Ape-Face Rockefellers.